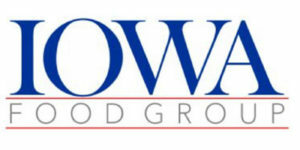 The Iowa Food Group which took over the former Tyson meat plant in Cherokee has temporarily paused production. The company says in a news release that it is going to recapitalize for its next stage. There was no mention in the news release as to how long the plant would be shut down. Iowa Food Group had announced in September of 2018 that they would acquire the meat plant and process beef, pork, poultry, and lamb. At that time, Iowa Food Group indicated they would employ at least 100 people at the start of operations.